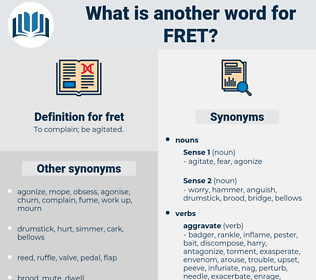 What is another word for fret? calm, make happy, appease, comfort, soothe, ignore, placate, be happy, please, pacify, delight, not worry. He'll be chose all right - d - don't fret - he'll be chose. Why must we take such care, and make such a fret - this soul? ornament, grace, adorn, embellish, decorate, carve, beautify. 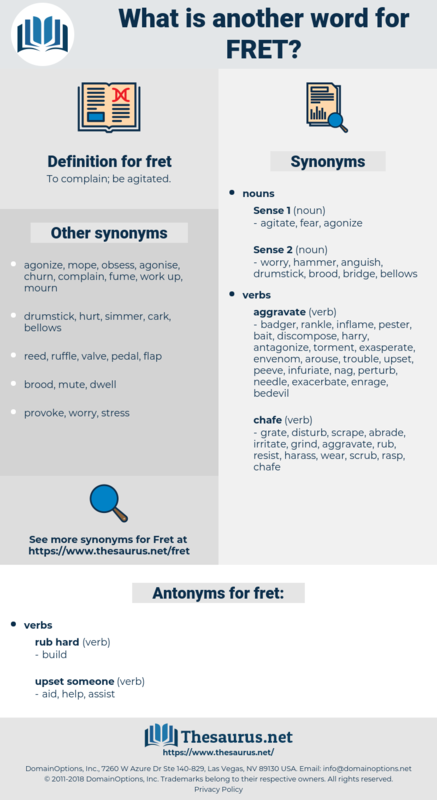 get to, get at, vex, annoy, nark, gravel, bother, rile, rag, irritate, devil, worry, nettle, chafe.